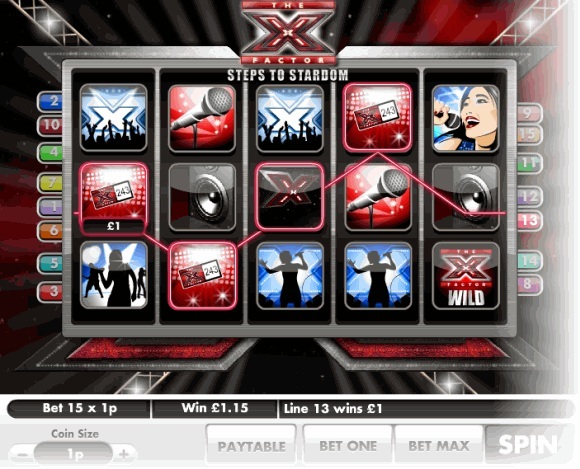 These go by the name of X Factor Steps To Stardom and Fireworkz Blitz and although they are very different in terms of visuals and game mechanics they both award huge prizes. Most of the casinos that feature slot games developed by WagerWorks have introduced them already, which means that players are very likely to enjoy them in their casino of choice. At the time this article was written, the jackpot stood above $1 million and the only direction for the price to go is upwards. 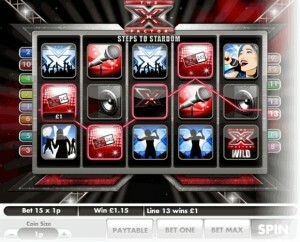 For more information about the slots visit http://www.onlinecasinosleuth.co.uk/x-factor-steps-to-stardom-slot-review/. The X Factor Steps To Stardom is not shrouded in mystery, and it is in fact exactly what those who play it for the first time expect. It draws its inspiration from the TV show bearing the same name, and it is not even the first title to choose it as the main theme. The main difference between this game and its predecessor is that this five reel and 20 pay line slot offers a massive jackpot. Players are required to bet at least £2 if they want to win the jackpot in case they hit five golden X symbols on the pay line. Even if you make a smaller bet, you can still hope for a fraction of the jackpot if you hit the winning combination. Fireworkz Blitz is a more casual title and there is no resemblance between this slot game and anything that players can find in WagerWorks casinos or elsewhere. It is definitely a fun game to play, with bright colors and funky sounds, but the jackpot is just as serious as in the other game that was recently released. More than $1 million is waiting for a winner, and the signal to cash in on the massive amount is given by five fireworks that appear on a horizontal or vertical line.